Open to everyone from any background, no experience necessary. A six-week course based on the fundamentals of aerial silks. We will be working on tricks in the knot formation, conditioning and learning how to climb. Beginner Level 1 pre-requisite. Must have completed a full six week level one course or have previous aerial experience. This course builds on the foundational skills acquired in level one and focuses on building strength, learning new tricks, drops in the knot and sequence work. This class is a variety of levels working out of the knot on tricks, drops, conditioning and choreography. Class is catered to the level of participants that sign up and usually divided between a more advanced group and an improving group. More of a relaxed teaching style to fit with this age group working on skills on a more one-to-one/group basis dependant on ability. Click here to sign up for Kids Circus Combo Camp in partnership with Whistler Sports Academy. We are working in the knot and advancing out of the knot as the class goes on. Treeline offers private classes for one-on-one instruction or for small groups. Offered and tailored for each skill level, stay tuned for upcoming workshops where we spend concentrated time honing skills in specific areas. 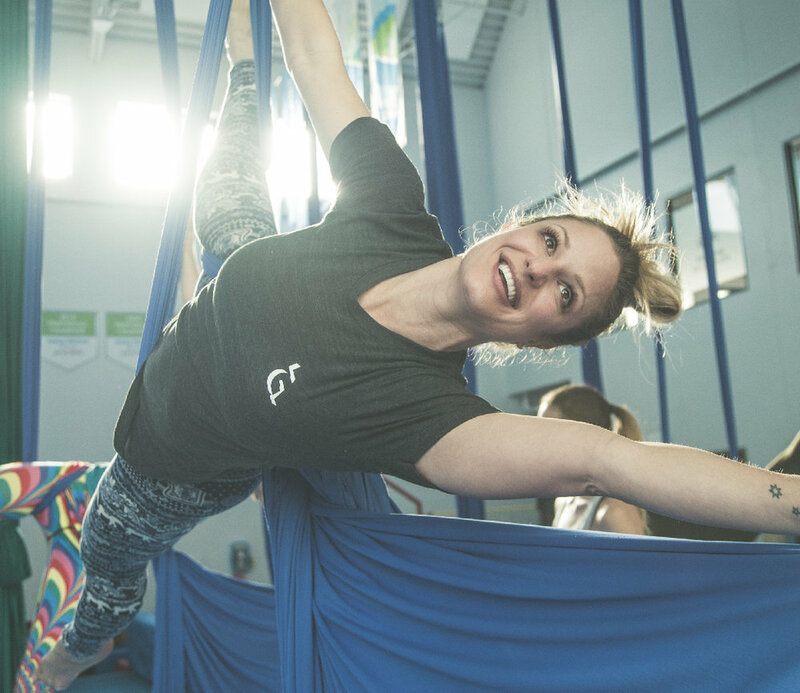 Workshops are sometimes hosted by guest aerialists from other aerial communities!